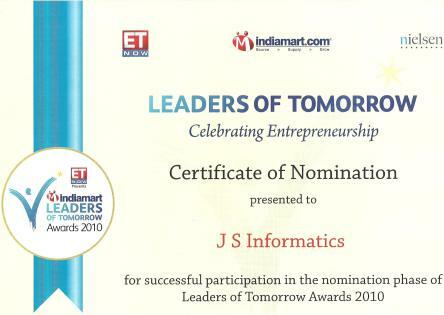 JS Informatics is a global IT solutions company. We provide full-cycle services in the areas of software development, web-based enterprise solutions, web application and portal development. Combining our solid business domain experience, technical expertise, profound knowledge of latest industry trends and quality-driven delivery model we offer progressive end-to-end web solutions. JS Informatics (JSI) Established in 2009, JSI is a first-rate Education & Training facility offering certification programs in PHP Training, Java Training, Android Training, iPhone Training and also provide On Job Training (OJT). JSI offers a unique mixture of superior academic knowledge, hands-on practical training, gives opportunities to work on live project during training. We are giving a platform to the IT students / professional and those who believe in taking part with high quality . Where they can share their doubt or knowledge. As we also participating actively with the support of technical experts..